The dude stepped up to the mic, opened his mouth, and the Spirit of God took over from there. A couple months ago, one of our KTL teenagers came up to me and requested another opportunity to preach in our Wednesday night worship service. The guy has obviously been called to pastoral ministry, is seen as a leader everywhere he goes and in everything he does, and can flat out preach (or “shuck some corn” as they say in Bama). I wanted to finish our series on Leviticus first, so I found the perfect spot for him just a little over the month after he asked for it. I told me he had been studying the book of Job by himself, and wanted to share it with the students. Two days before he preached, I gave him an opportunity to run through it with some other guys on our KTL ministry. After a few tune-ups in his message here and there, he was ready to rock. Wednesday night rolled around. The kid is also our drummer. So right after he got done rocking the beat for Jesus during our time of worship, he stepped down off the drum stage and waited for the prayer to finish so he could start. From the first word that came out of his mouth, our students were glued in on every word. He was one of them, he goes through what they go through on a daily basis, and he is a great example of faith at that age. He started off with a story about suffering from his own life. Then he read from the Scriptures and painted the lifeline of the sufferings of Job. 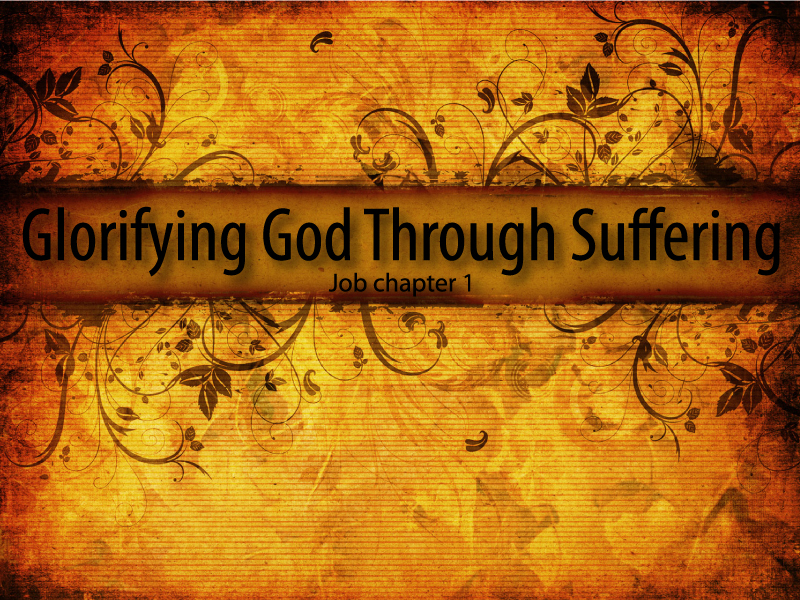 He then moved the students from understanding the sufferings of Job to the sufferings of Paul for Christ. But he didn’t end with a sappy sermon on how to live like these guys. He knew that living like JESUS CHRIST is the goal of all Scripture, so he pointed every student onto the example, hope, and goal of suffering for our faith…Jesus Himself. Not only did he nail the text, but he spoke so clearly, so convicting, and so Christ-centered. He got excited at times to show his passion, he quieted down other times to draw the ears of his hearers in, but most importantly he preached the gospel to everyone in the house. And get this as this is probably the craziest part…after he taught it to the youth, he turned around and taught it to the college students in the next service. He handled it like a true man, just preached the Word, and put His confidence in Christ. The college students were amazed with his maturity. After it was all said and done, I gave him a sheet of paper that had encouragements and critiques. To be honest, the encouragements far out-weighed the critiques even though I tried to balance them more. I told him that his greatest struggle in his future ministry may be…his pride. Not because I see him as some cocky kid just wanting to show off his sweet speaking skills, but because so many people will be saved and sanctified by his passionate ministry. I just want him to continue to lean on Christ rather than his own abilities. I think of this kid as like a spiritual freak of nature. He’s got it all together. And the shocking part is…we have more of these type guys in our student ministry. I’m amazed at what God has done here. Please pray for me that I’ll be faithful to teaching, training, and molding them to be what God has called them to be for the honor, glory, and kingdom of His Son, Jesus Christ.